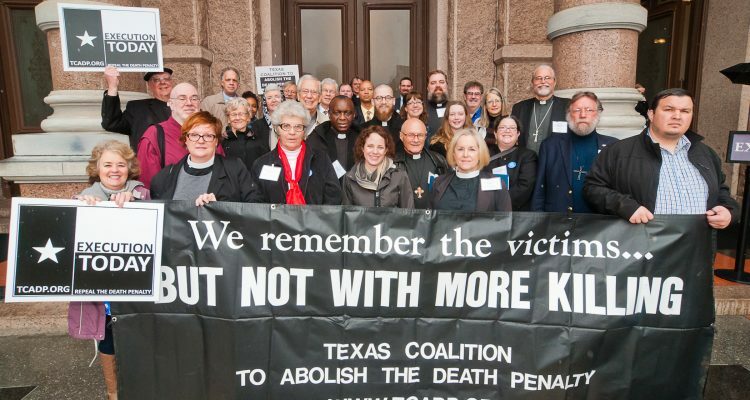 Faith leaders and communities of faith are integral partners in our efforts to reduce use of the death penalty and, ultimately, abolish capital punishment in Texas. TCADP invites all religious leaders who reside in Texas to sign the Interfaith Statement of Opposition to the Death Penalty. More than 550 faith leaders statewide have endorsed the statement to date. We invite Jewish faith leaders to sign both the Interfaith Statement and a separate statement from Texas Rabbis and Cantors. 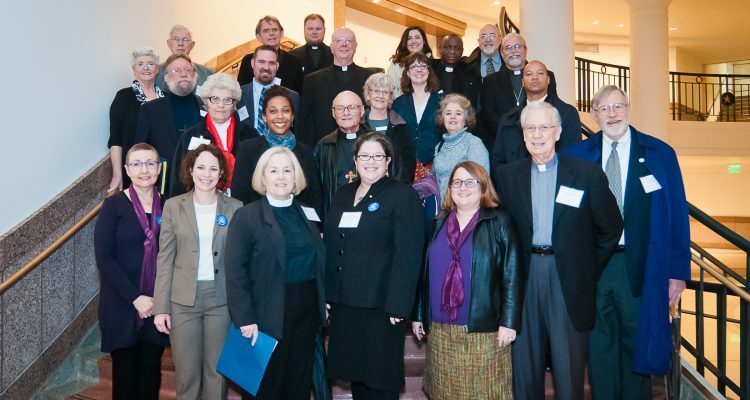 Thanks to the clergy and lay leaders who participated in our 2017 Faith Leader Advocacy Day on the Death Penalty at the State Capitol in Austin, which took place on March 28, 2017. 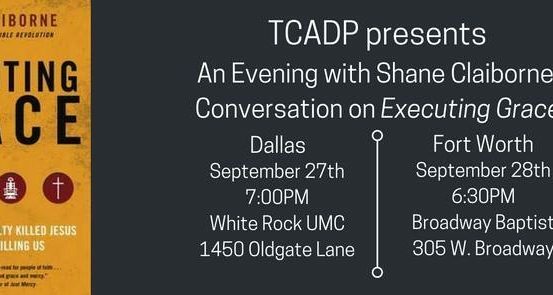 This event was co-sponsored by TCADP and Texas Impact and served as an important opportunity to lift up the voices of faith leaders on this issue. 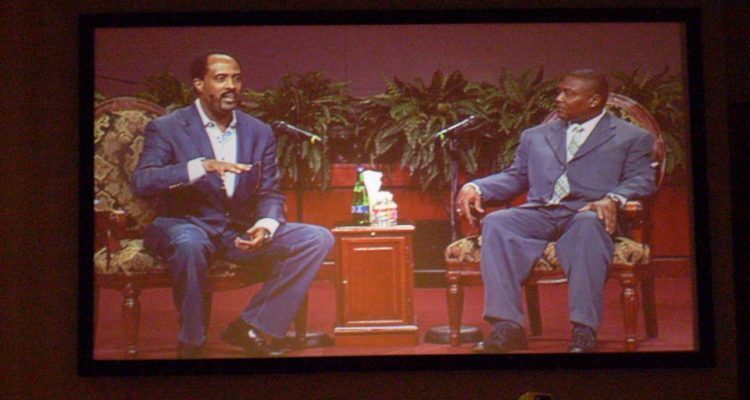 Host a gathering for faith leaders in your area, such as a breakfast or luncheon with a speaker and opportunities for discussion. 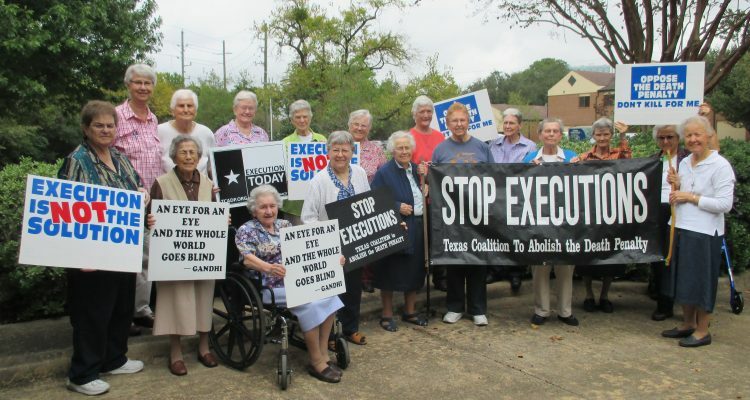 Organize and mobilize members of your faith tradition or denomination as witnesses against the death penalty, for example, through prayer vigils on the days of execution in Texas. Host one of our voices of experience on the death penalty (exonorees, murder victims’ family members, friends and family members of individuals on death row, law enforcement officers). Lead a study or watch a film related to the death penalty in your faith community (see recommendations below). 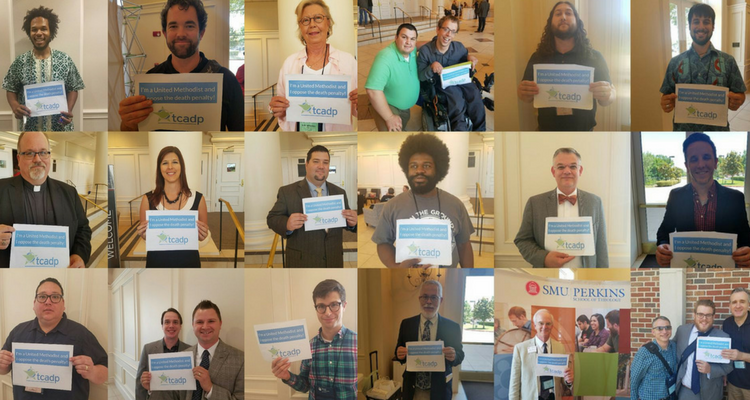 Join TCADP’s advocacy efforts with elected officials. We can provide you with speakers, fact sheets, films, discussion guides, or whatever else you might need to support these initiatives. Contact us at info@tcadp.org or 512-441-1808. 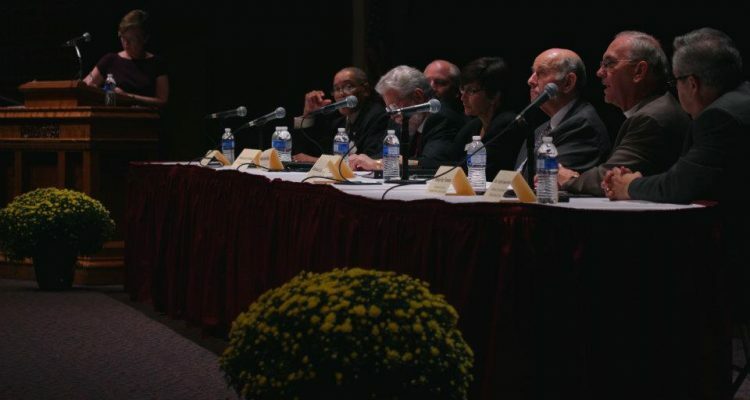 For information about past events involving religious leaders and faith communities, please visit the archive page. The following films are available on loan from TCADP, unless otherwise noted. “70 X 7: The Forgiveness Equation.” This film thrusts viewers into the turmoil between two sisters, Sue Norton and Maudie Hills, whose responses to the murders of their parents differed significantly. It also relives the Oklahoma City bombing that killed Bud Welch’s daughter, Julie. “70 X 7” derives its title from scripture: “Peter asked Jesus how many times shall I forgive someone who harms me? Seven times?” And Jesus answered, “no Peter, not seven times but 70 X 7 times.” (Mathew 18:21-22). 2008. 36 minutes. “At the Death House Door.” This documentary film is told through the eyes of Reverend Carroll Pickett, who served as the death house chaplain in the infamous Walls Unit in Huntsville, Texas. During Pickett’s remarkable career and personal journey, he witnessed over 95 executions, including the nation’s first lethal injection. After each execution, he recorded an account of his trip to the death chamber. The film also tells the story of Carlos De Luna, an innocent man on death row who Pickett counseled and whose execution troubled him deeply. 2008. 98 minutes. “The Empty Chair.” This film is a balanced and compelling portrayal of four families whose loved ones have been murdered and who must confront their notions of revenge, forgiveness, and healing. It is particularly appropriate for audiences whose members hold differing views on the death penalty and groups that are addressing the issue for the first time. 2003. 52 min. “Executing the Insane: The Case of Scott Panetti.” This documentary chronicles the case of Scott Panetti, who was sentenced to death in Texas despite a long, documented history of paranoid schizophrenia. It is a compelling portrait of the impact that Panetti’s mental illness – and his death sentence – has had on his family. 2007. 27 minutes. “Juan Melendez-6446.” Juan Roberto Melendez Colon spent 6,446 days on death row in Florida for a crime he did not commit. Produced both in Spanish and English by the Civil Rights Commission of Puerto Rico, this film provides an excellent opportunity to spark discussion about the legal system and death penalty in the United States. 2008. 49 minutes. On June 21, 2016, Pope Francis addressed the World Congress Against the Death Penalty, during which he reiterated his call for worldwide abolition. More information about this speech can be found here. Video and full text of the speech in Spanish are available here. Cahill, Thomas. A Saint on Death Row: The Story of Dominique Green. Doubleday, 2009. On October 26, 2004, Dominique Green was executed by lethal injection by the State of Texas. Arrested at the age of 18 in the fatal shooting of a man during a robbery outside a Houston convenience store, Green, an African-American man, was sentenced to death by an all-white jury. Despite obvious errors in the legal procedures and over the protests of the victim’s family, he spent the last 12 years of his life on death row. Thomas Cahill visited Dominique in 2003 and joined the fierce fight for his life. He even enlisted Dominique’s hero, Archbishop Desmond Tutu, to make a historic visit to death row and to plead publicly for mercy. Claiborne, Shane. Executing Grace: How the Death Penalty Killed Jesus and Why It’s Killing Us. HarperOne, 2016. In this reasoned exploration of justice, retribution, and redemption, Shane Claiborne, a bestselling author and director of Red Letter Christians, offers a powerful and persuasive appeal for the end of the death penalty. He interviews victims of violent crimes, survivors of death row, lawyers, experts, and an executioner, sharing their stories of horrific pain and heroic grace. Claiborne also explores the contrast between punitive justice and restorative justice, questioning our notions of fairness, revenge, and absolution. In Executing Grace, he reminds us of the divine power of forgiveness, and evokes the fundamental truth of the Gospel that no one, even a criminal, is beyond redemption. Download a study guide. The Death Penalty in Texas: A study guide for Texas faith communities. Texas Interfaith Center for Public Policy, 2014. This guide provides a broad overview of the death penalty in the United States and Texas and includes excerpts from major faith traditions’ stances on the death penalty. Available online. Osler, Mark. Jesus on Death Row: The Trial of Jesus and American Capital Punishment. Abingdon Press, 2009. Mark Osler, a law professor and former prosecutor, challenges Christian support for the death penalty by applying the story of Jesus’ trial and execution to the modern criminal justice system in the United States. Each chapter follows the arc of Christ’s last days and examines their symmetry with aspects of modern criminal trials, such as the use of a paid informant, denial of habeas corpus, and humiliation of the convicted. 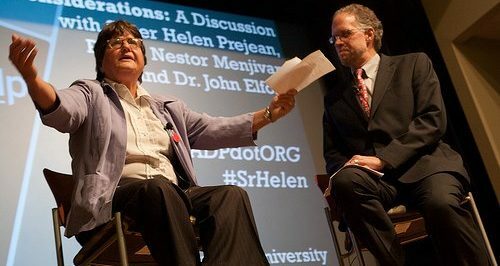 Prejean, Sister Helen. Dead Man Walking. Random House, 1993. Sister Helen’s powerful memoir of her experiences as the spiritual advisor to two men on death row in Louisiana and her journey through our system of capital punishment. The film of the same name features Susan Sarandon and Sean Penn and is available through Netflix or any other streaming service. Recinella, Dale. The Biblical Truth About America’s Death Penalty. Northeastern University Press, 2004. Recinella, a Catholic lay chaplain in Florida, compares biblical teaching about the death penalty, including such passages as “eye for eye, tooth for tooth, life for life,” with the nation’s current system of capital punishment. Stevenson, Bryan. Just Mercy: A Story of Justice and Redemption. Spiegel & Grau, 2014. A powerful true story about the potential for mercy to redeem us, and a clarion call to fix our broken system of justice—from one of the most brilliant and influential lawyers of our time. Download a study guide developed by the Seminary of the Southwest in Austin, Texas.